Alpha Kappa Alpha became the nation’s first sorority established by African American women more than 107 years ago at Howard University in Washington, D.C. Today, our 283,000 plus members worldwide continue to “be of service to all mankind.”Here at Colorado State University-Pueblo, Alpha Kappa Alpha Sorority Incorporated chartered the Tau Tau chapter on November 17, 2013. Members of Alpha Kappa Alpha Sorority, through its 986 local chapters, have the opportunity to address community needs with programs in traditional and new target areas. The program features five target areas, one Signature Program, and Community Service Days. We promote these five target areas on campus through putting on programs that not only get the students involved, but also our surrounding Pueblo community. Past programs that we have hosted include Greek war to end needs, AKA 1908 playground, 1 million backpacks, let’s talk mental health, and much more! 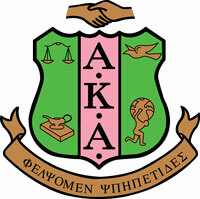 For more Information on how on Alpha Kappa Alpha Sorority, Inc. please contact us!